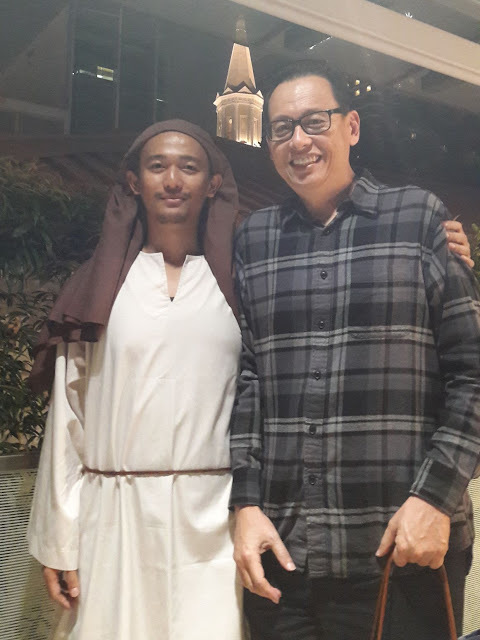 This is Stevan Widyasmoro (on the left) who sang very well as Jesus in a recent Easter Cantata 2018 and had more ease in reaching the high notes than i did when i played Jesus in 1999 and 2011. Scroll to hear an excerpt of his singing in a video at the end. @seb , thanks for taking this photo. I think he'll be able to sing it -- at ease -- any time. I had lots of warm-ups to do, to sing mine... here below is a video of me singing the same song. Jesus in the garden... again.